Introducing the newest cutting-edge technology in autonomous robots! The Tactical Surveillance Insectoid scout robots are specially designed to safely scout out hostile territory as well as finding and retrieving small payloads. They can operate unobtrusively in all environments, but are also quite capable of self-defense if necessary. They are also equipped with hi-res infrared-capable cameras with protective shielding. 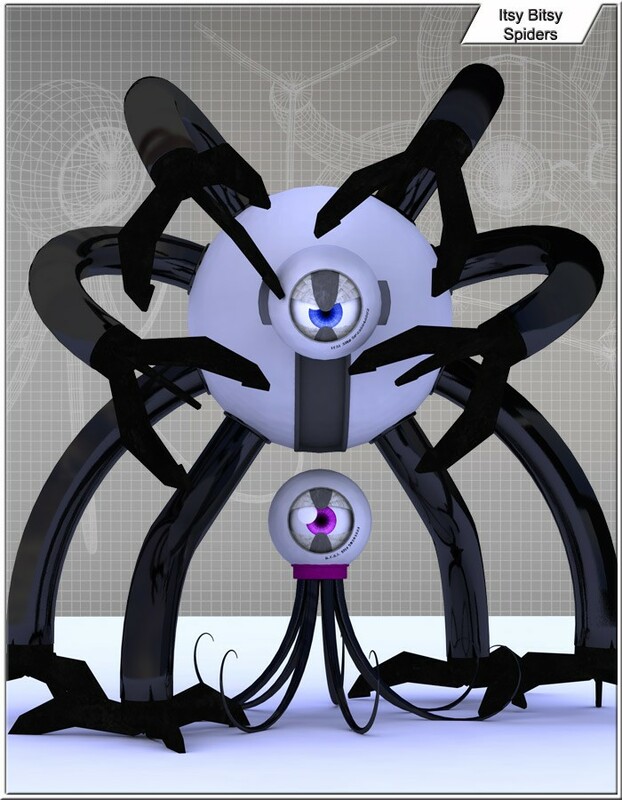 (I)ntegrated (T)actical (S)urveillance (I)nsectoid - "Itsy"
Itsy is designed for missions requiring more force than subtlety. His head is mounted on a pivot allowing for a 90 degree viewing arc, and his eight powerful legs are tipped with titanium pincers that are useful for scaling any wall as well as deadly force. Itsy's feet are also equipped with 360 rotors that allow dexterous handling of materials. (B)ionic (T)actical (S)urveillance (I)nsectoid - "Bitsy"
Bitsy is designed for missions requiring stealth. 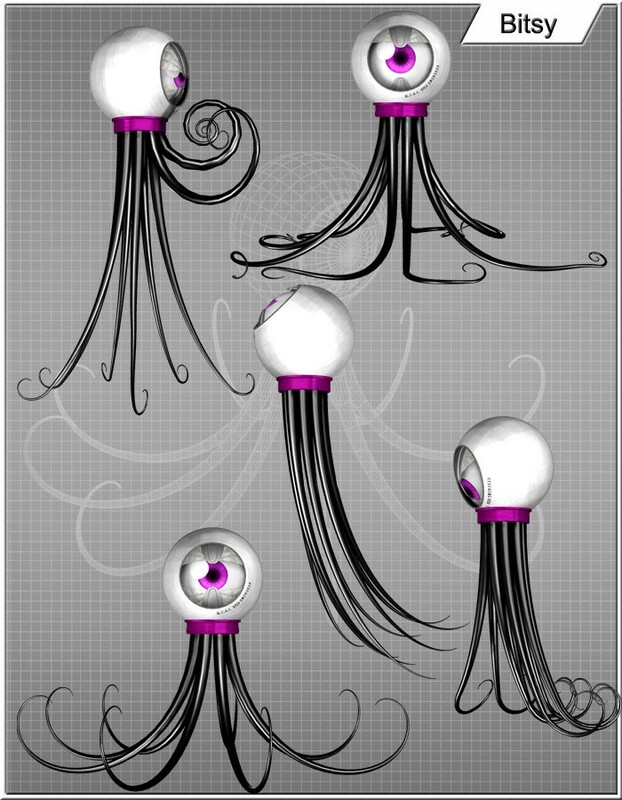 Her small size and flexible tentacles allow her to adhere invisibly in almost any hiding place. However, if discovered, the tentacles are still powerful enough to mount an adequate defense. Itsy and Bitsy are stand-alone figures for Poser and Daz Studio. 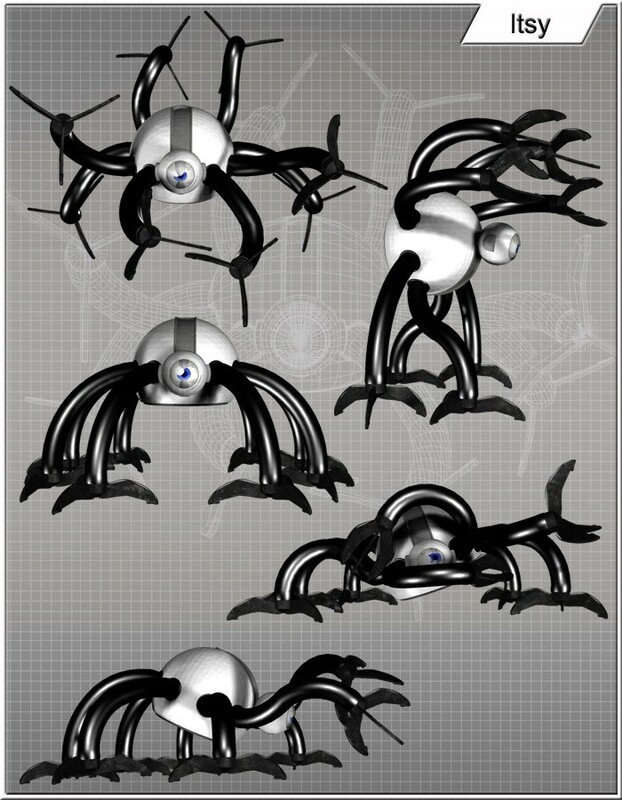 The package includes both of the spider bots as well as 5 unique poses for each of them. 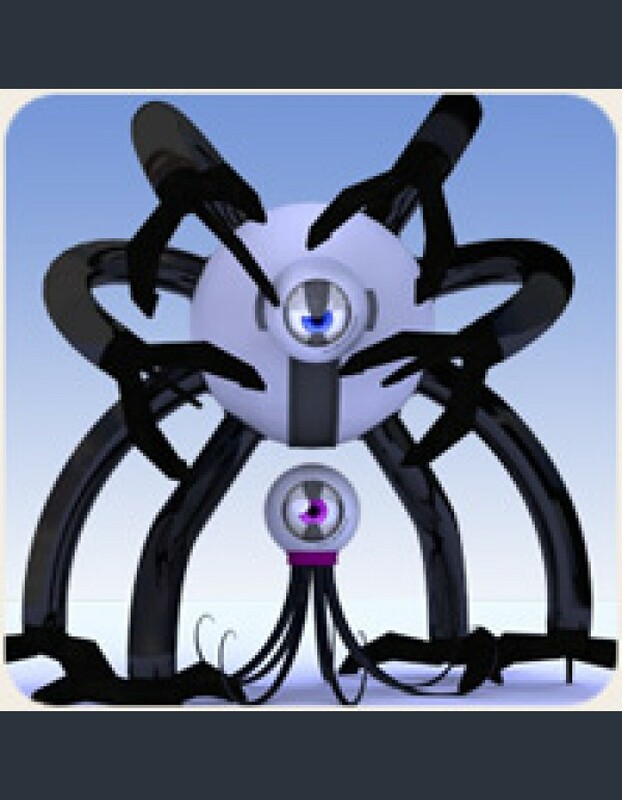 Each of their 8 legs include EZ Pose dials that have multiple levels of control, so you can pose the entire leg at once as well as having fine control over each segment. The head of each robot also contains posing dials for easy control of the eyes as well as the eyelids.